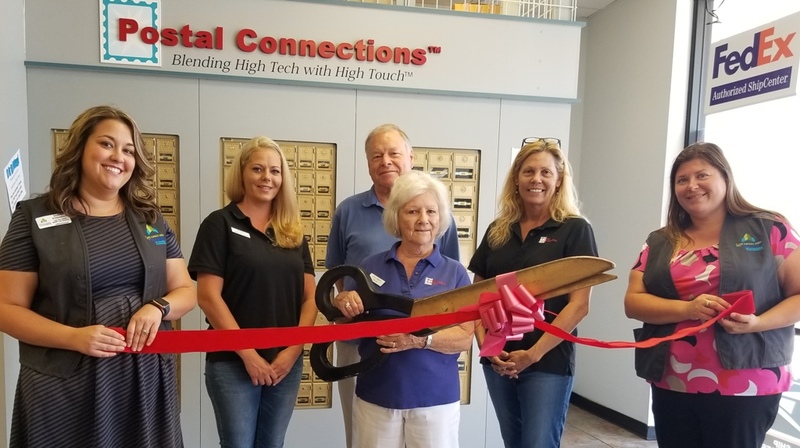 The Lake Havasu Area Chamber Ambassadors held a ribbon cutting ceremony for Postal Connections celebrating 15 years as a Chamber member! Postal Connections is located at 3269 Maricopa Ave. inside the Bashas’ Plaza. Postal Connections is a FedEx and UPS authorized ship center as well as a USPS approved postal provider. Domestic and international shipping offered. A Notary Public is available, computer usage, mailbox rental and more. 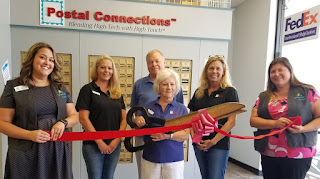 Attending the ceremony from left to right were Sarah Stinnett, Holly Magnuson, Dennis Fritz, Sue Fritz – Owner, Katherine Montius and Teri Jameson.